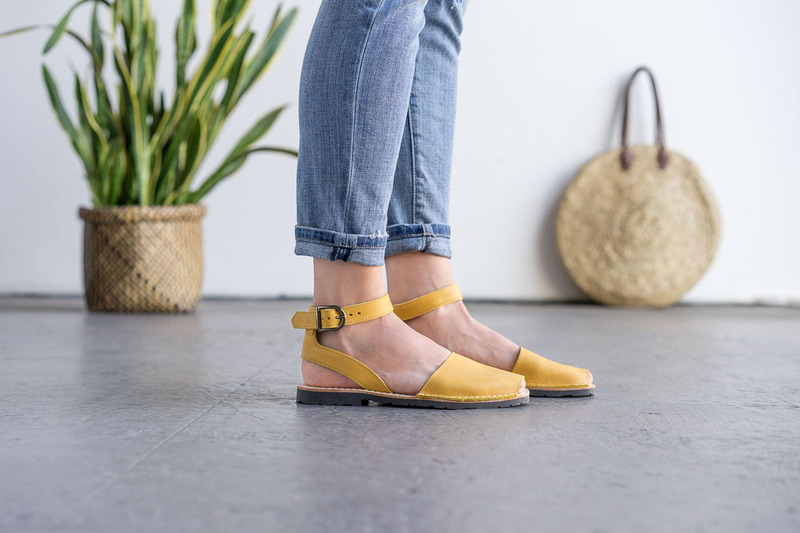 Our Ankle Strap Pons Avarcas in Saffron are a bright sunny yellow inspired from the Spanish island Menorca, where each pair is carefully handmade by local artisans. 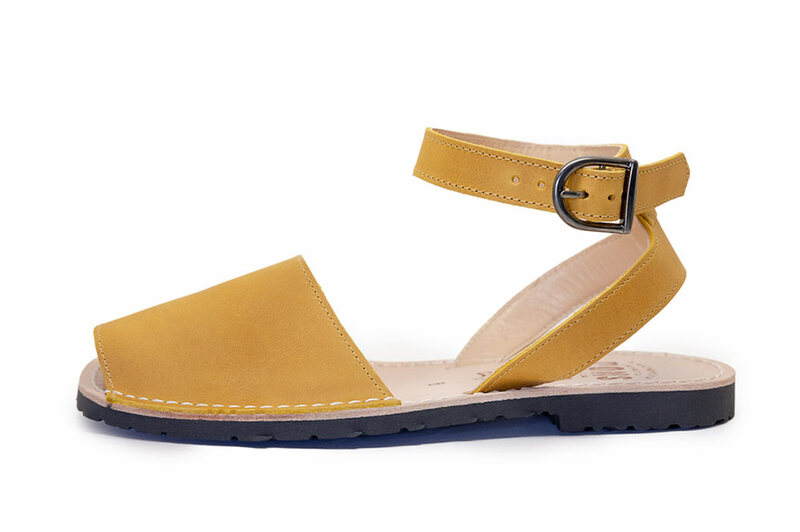 Our Pons sandals are produced with the highest quality all natural leather and with a durable yet comfortable rubber sole and an adjustable buckle closure. You won't be able to look at your feet and not smile with this radiant color shining back at you.